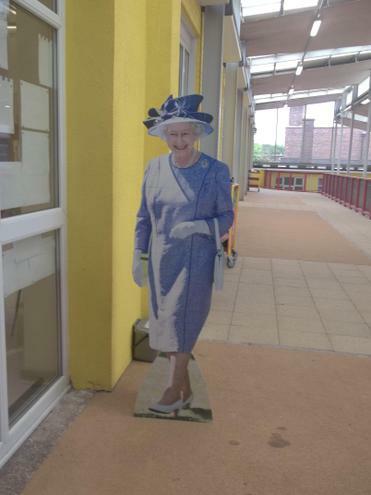 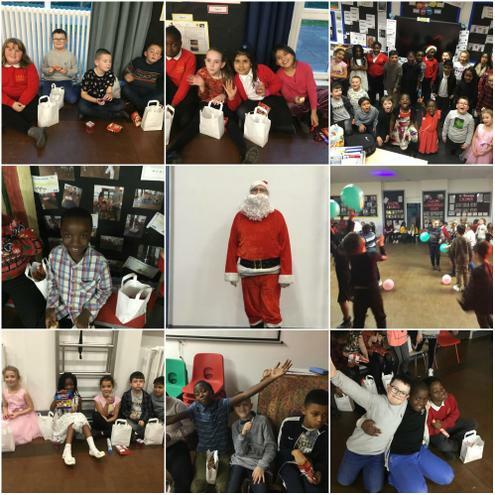 At Henry Whipple SMSC underpins everything we do. 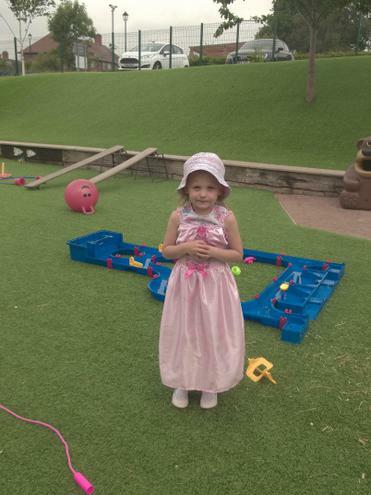 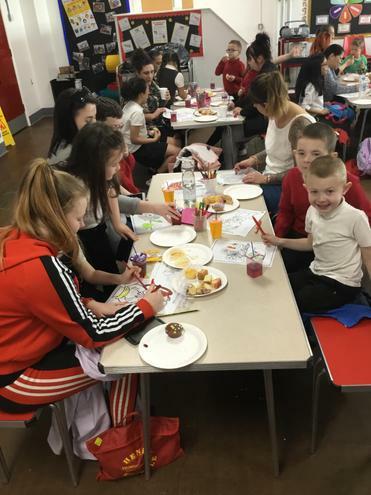 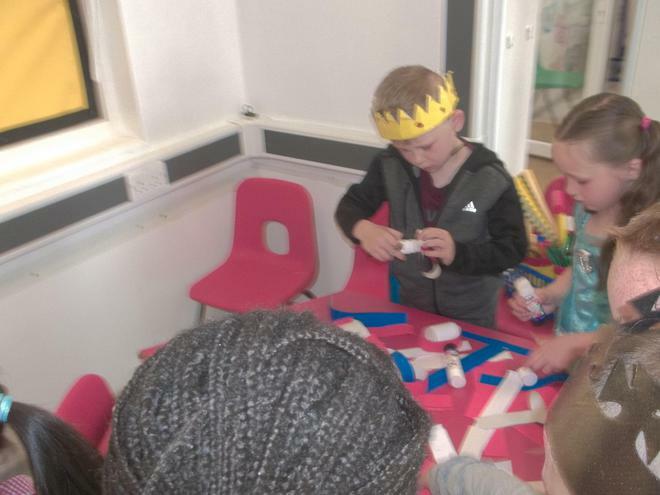 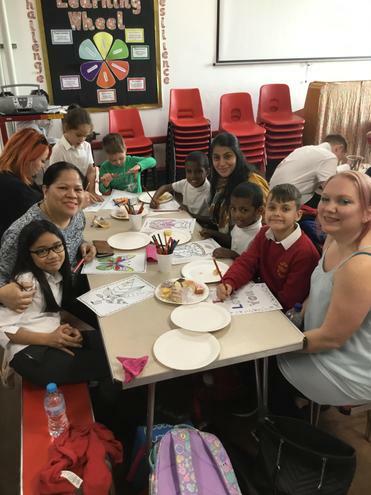 We recognise that the personal development of the children, spiritually, morally, socially and culturally plays a significant role in their ability to learn and to grow into well rounded members of society. 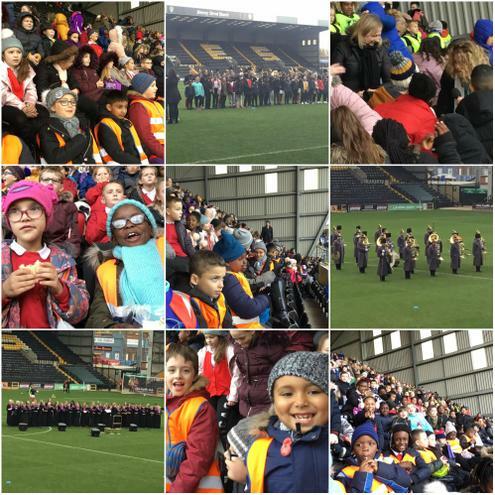 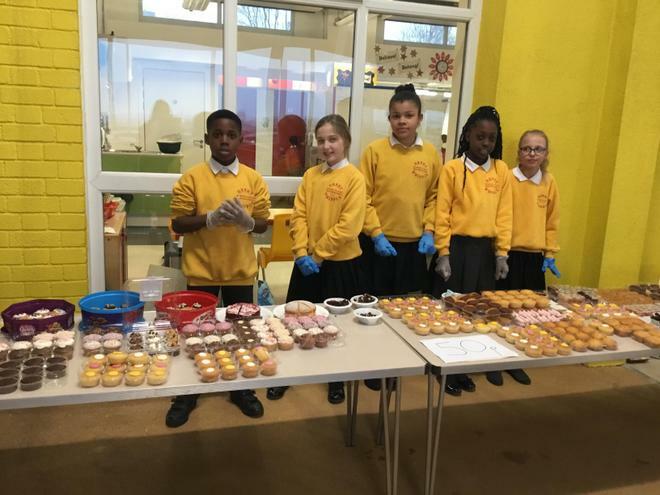 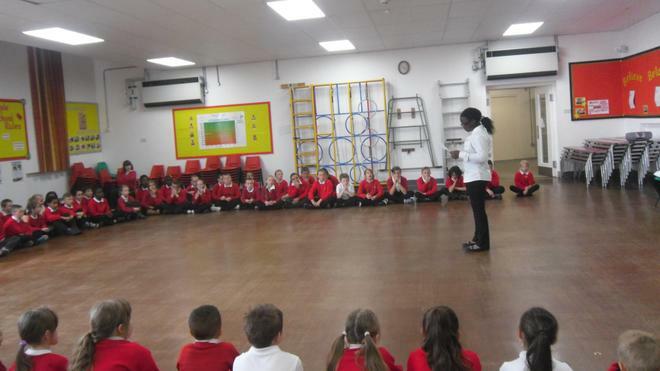 Providing children with opportunities to exercise leadership through a range of whole-school class responsibilities including Junior Leaders, Eco Warriors and Science Leaders. 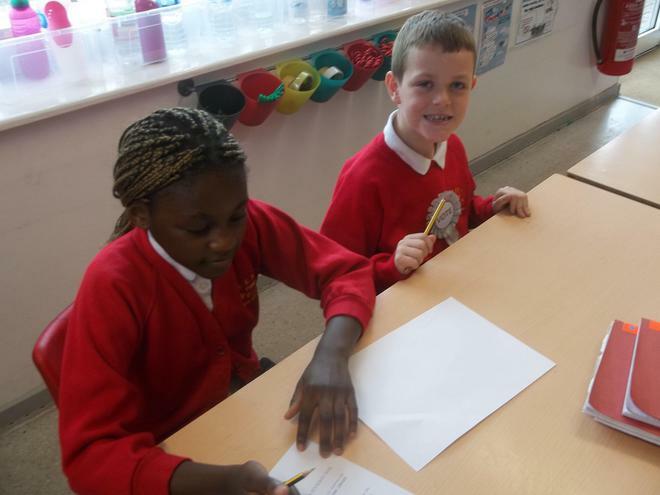 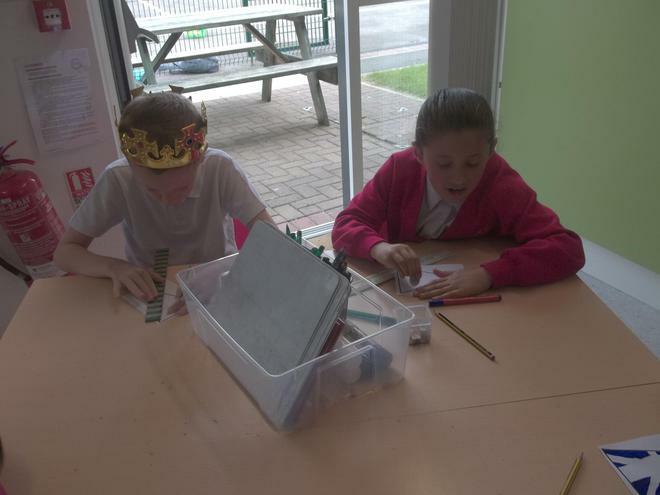 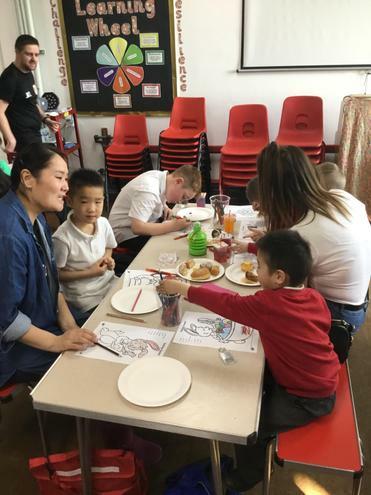 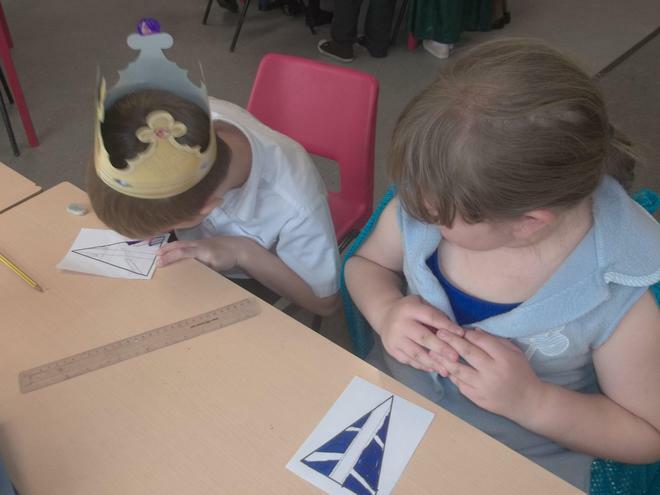 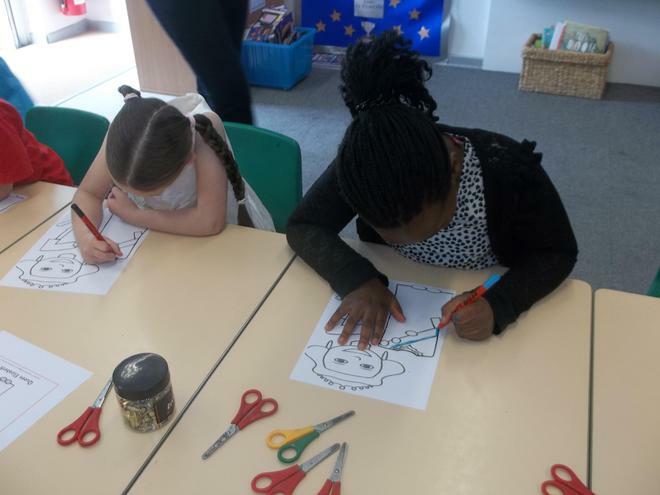 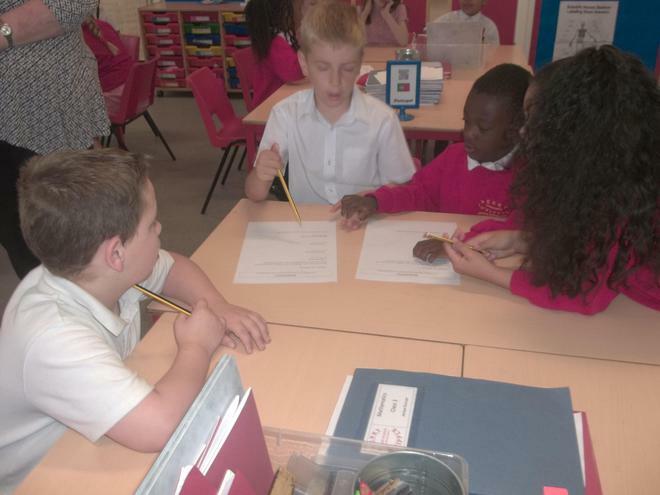 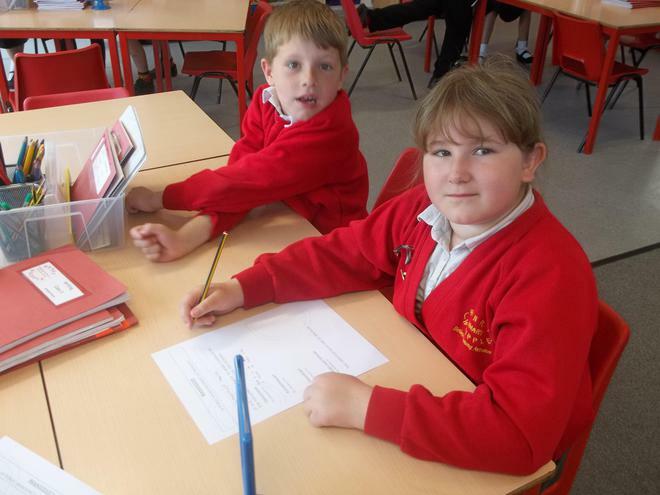 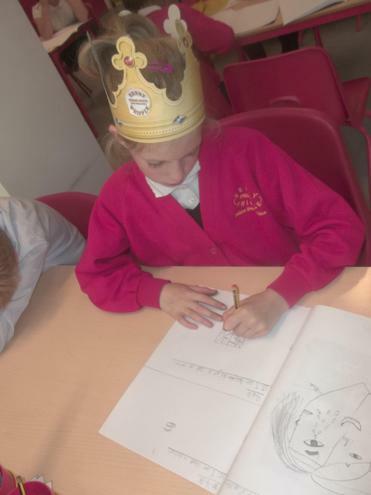 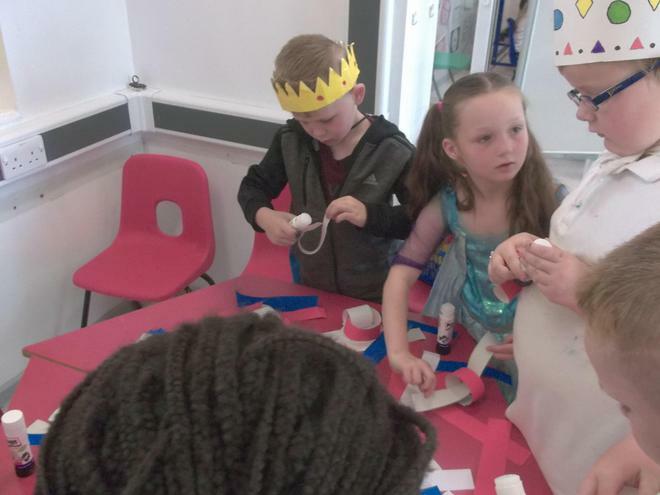 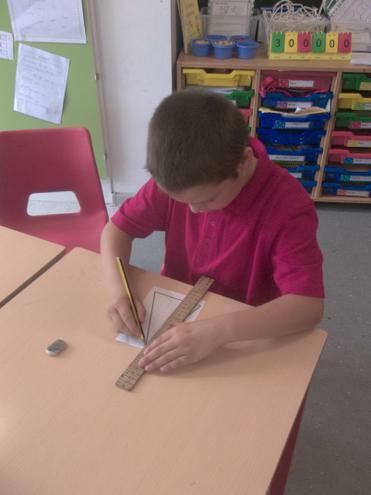 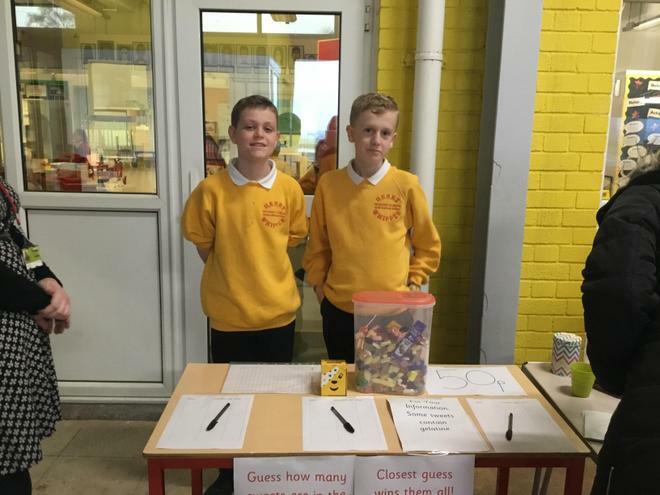 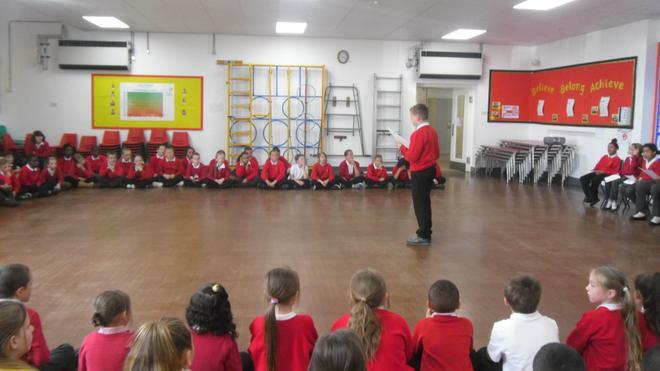 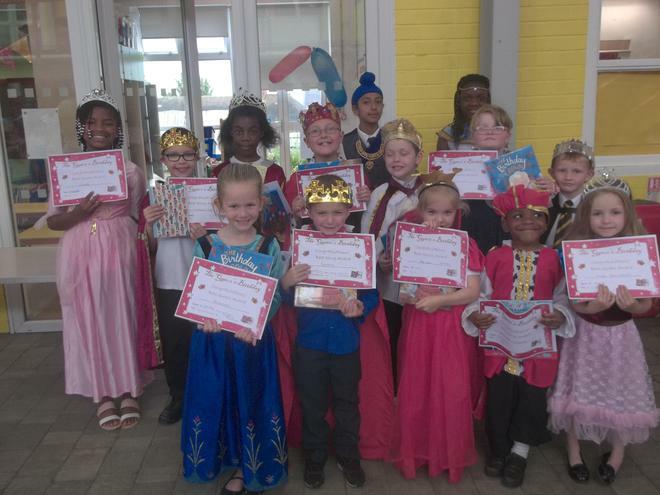 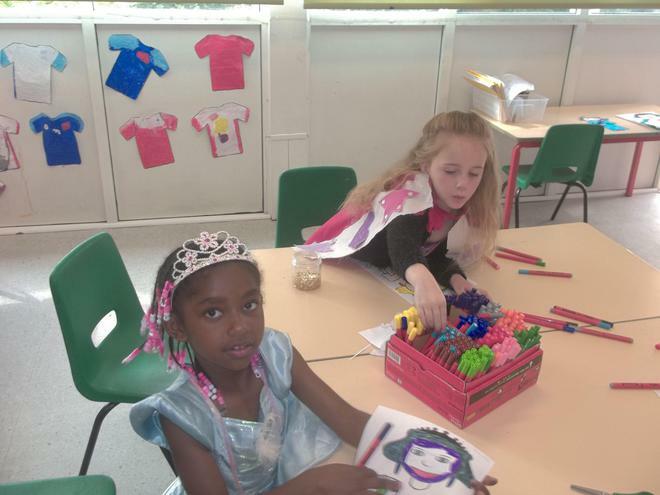 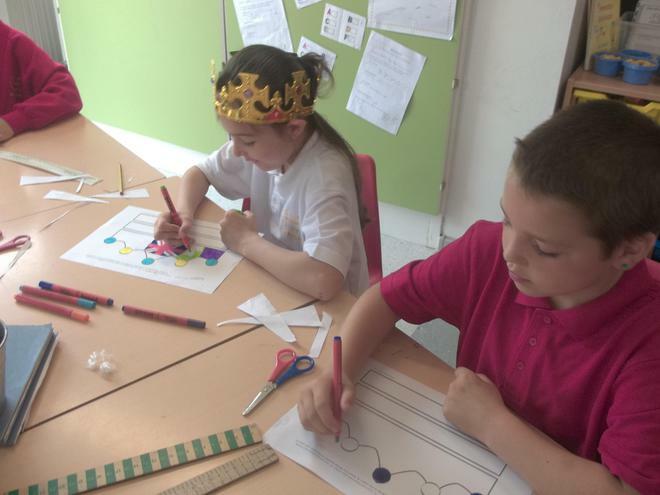 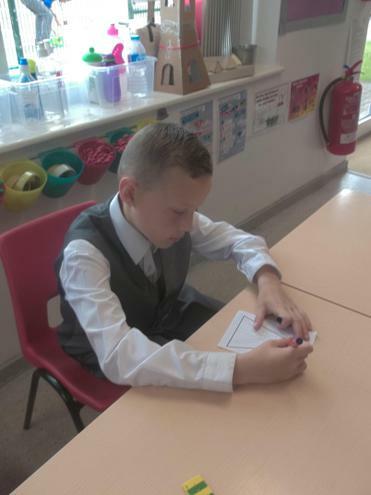 Through our bespoke PSHE curriculum, tailored to meet our pupils' needs - helping them develop qualities which are valued by society, such as: thoughtfulness, honesty, respect for others, moral principles, independence, co-operation, self respect. 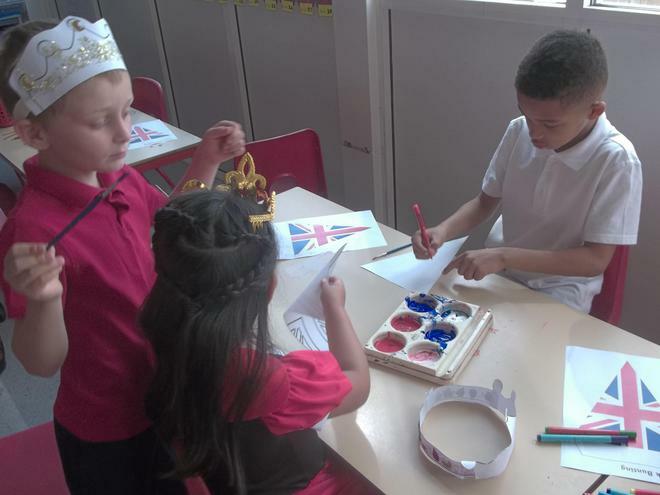 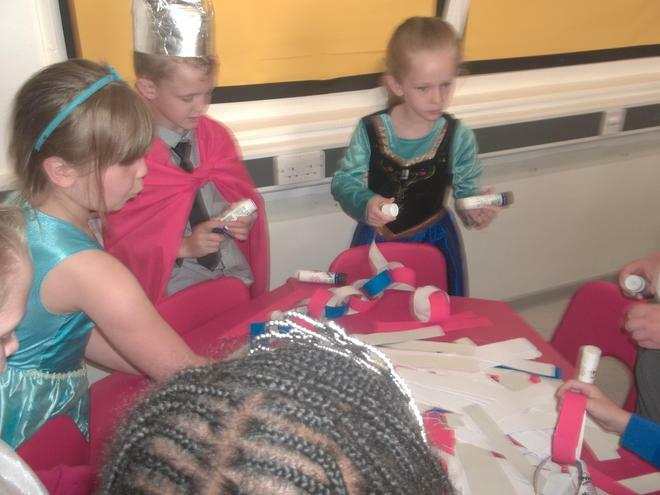 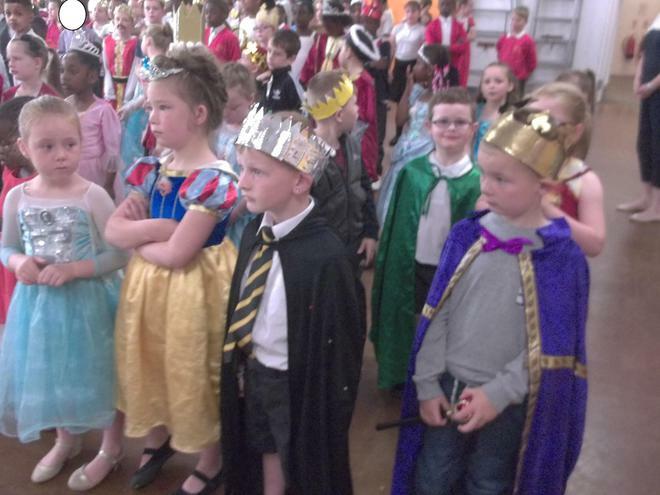 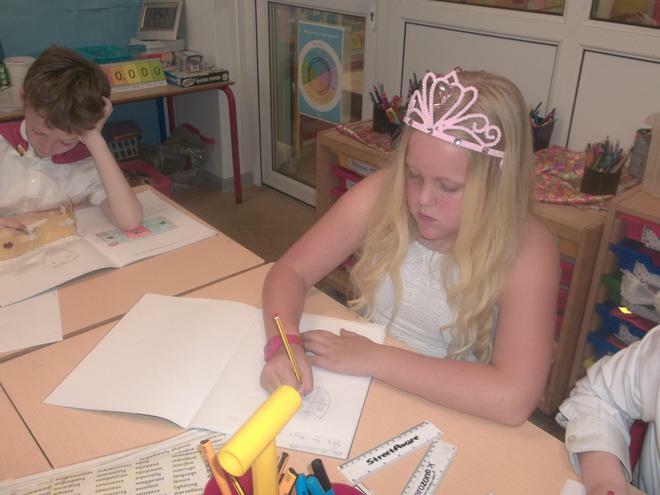 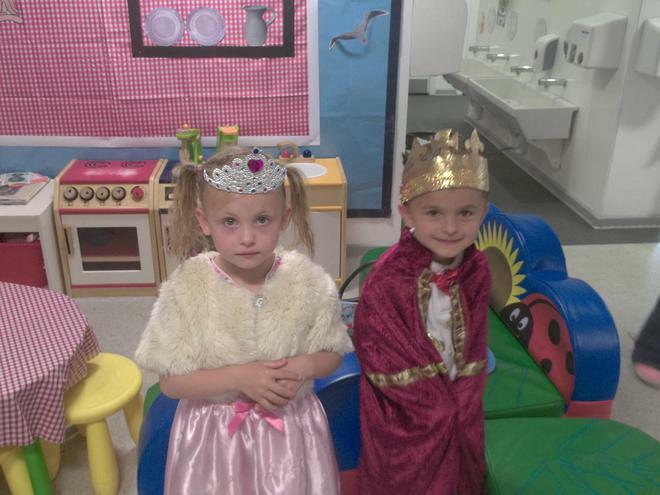 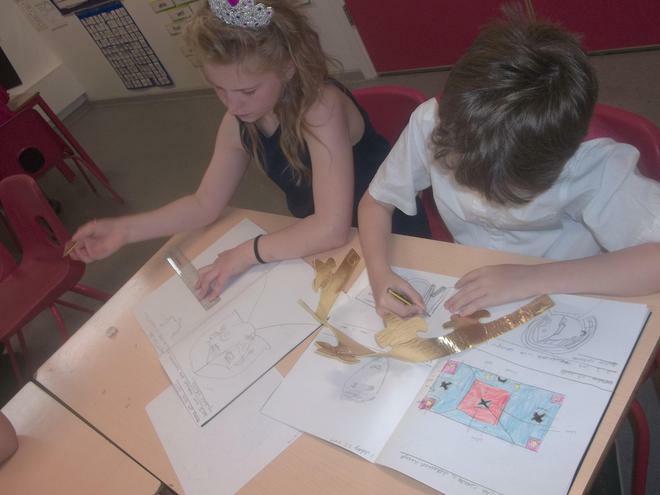 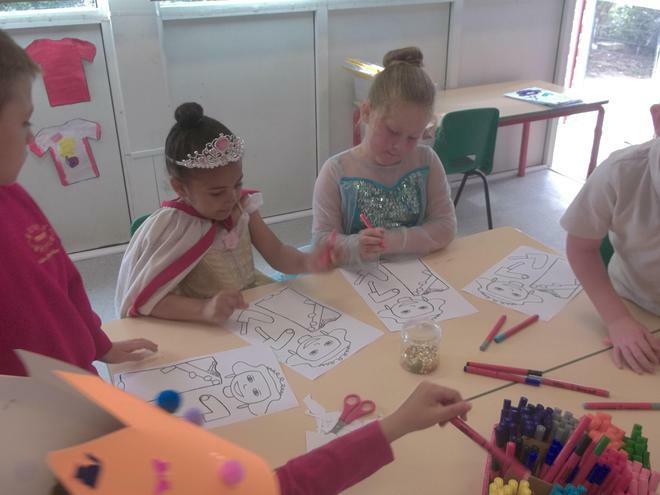 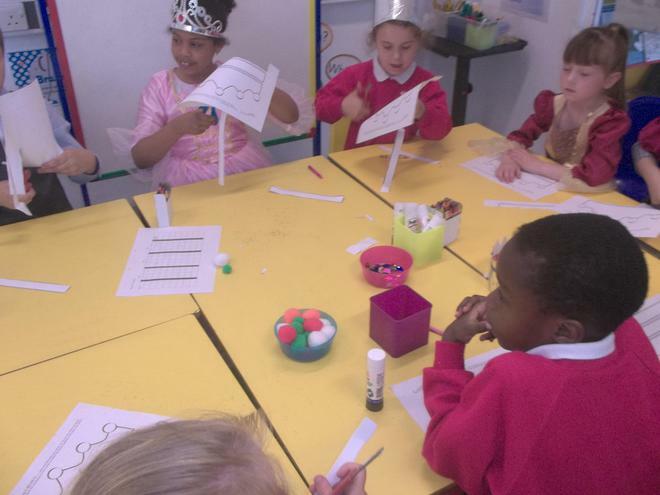 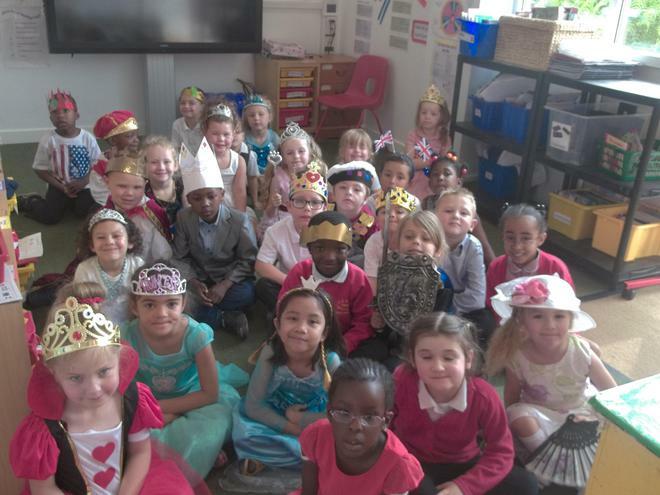 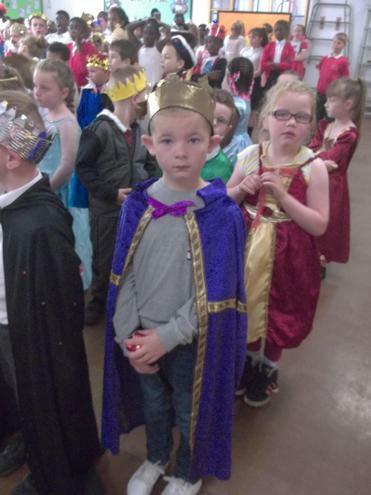 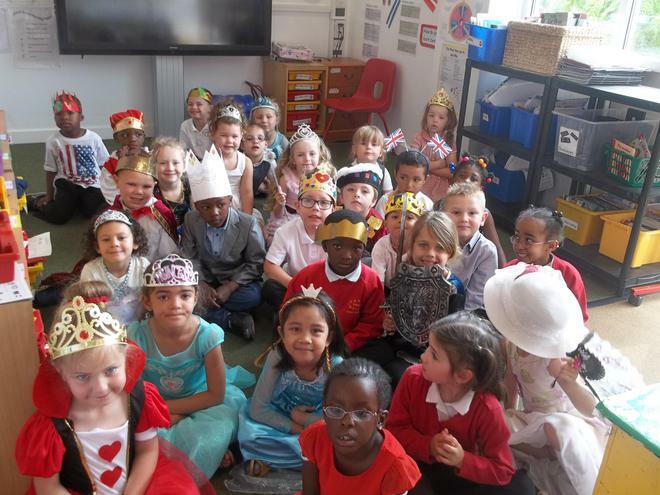 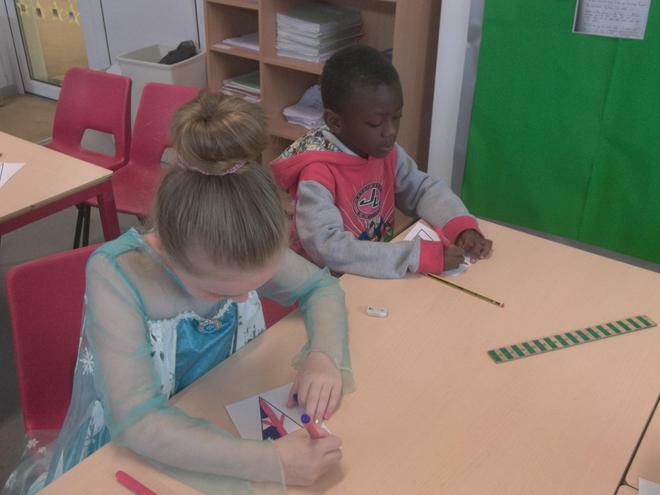 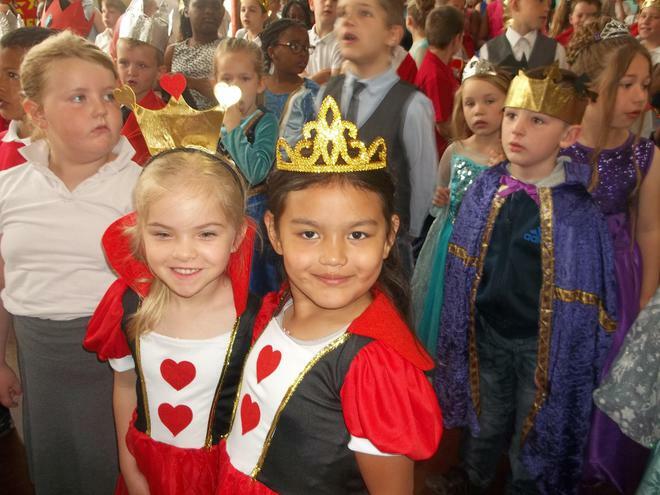 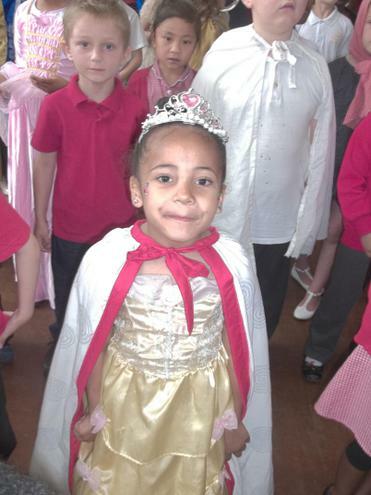 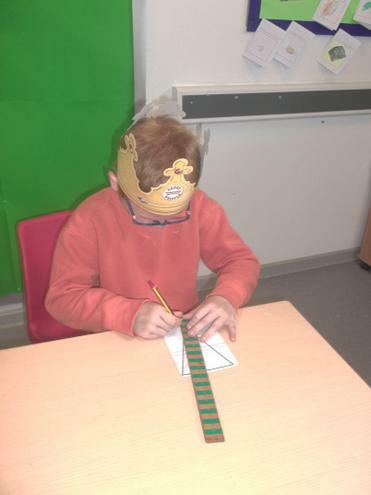 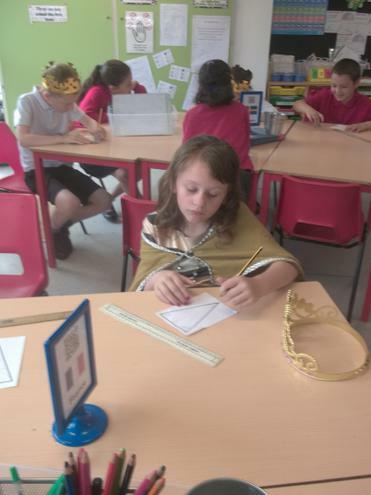 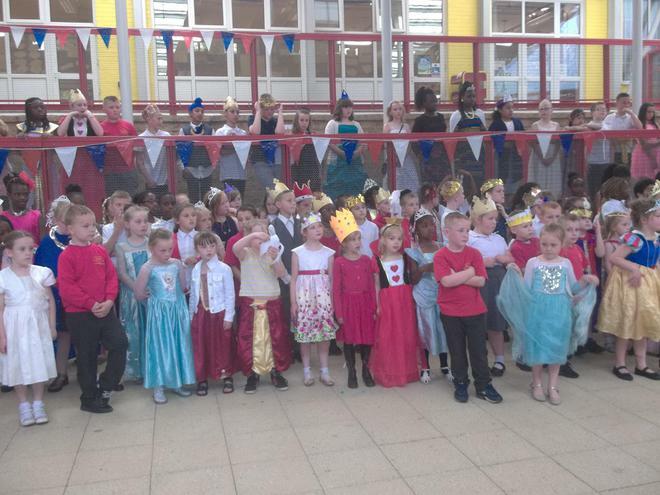 Themed days linked to topics being studied throughout the school following our long-term curriculum knowledge coverage. 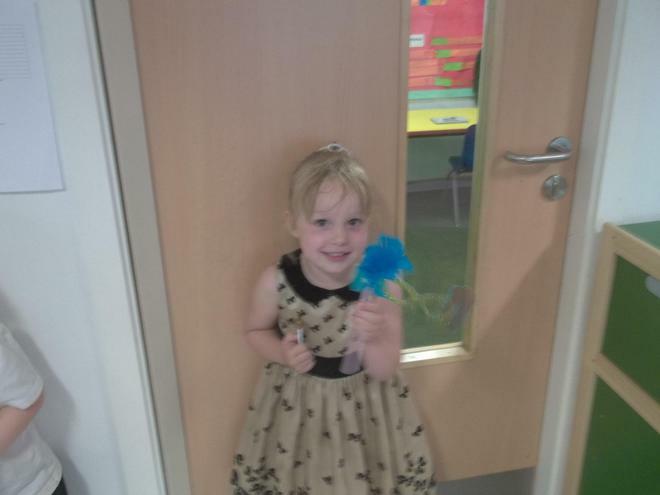 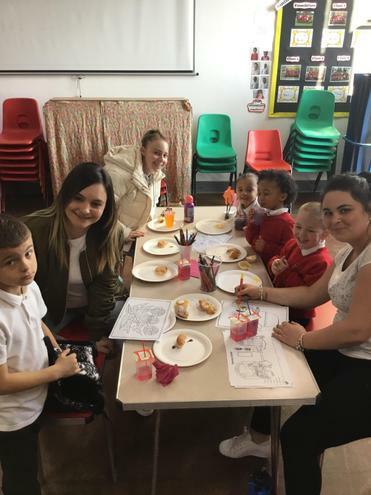 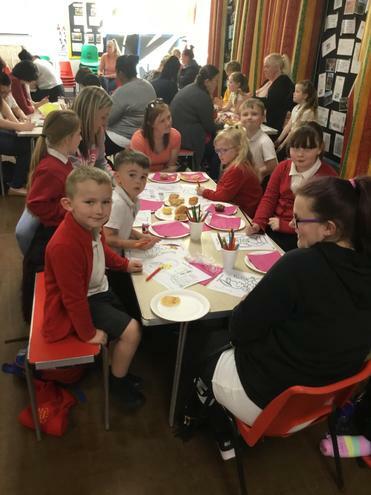 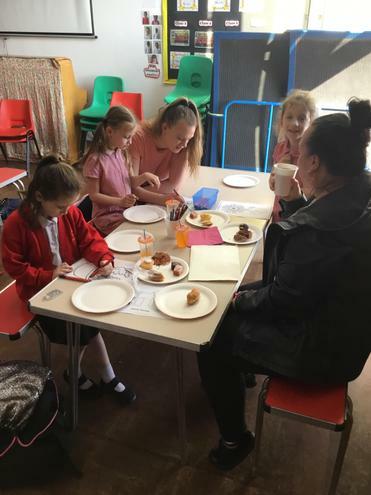 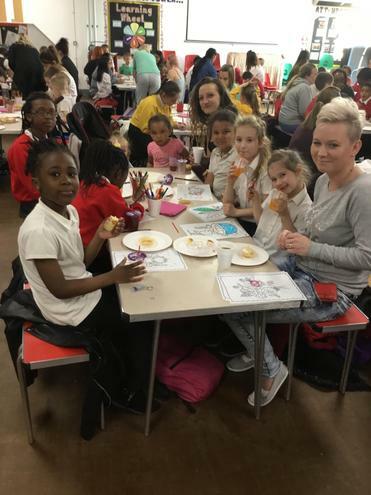 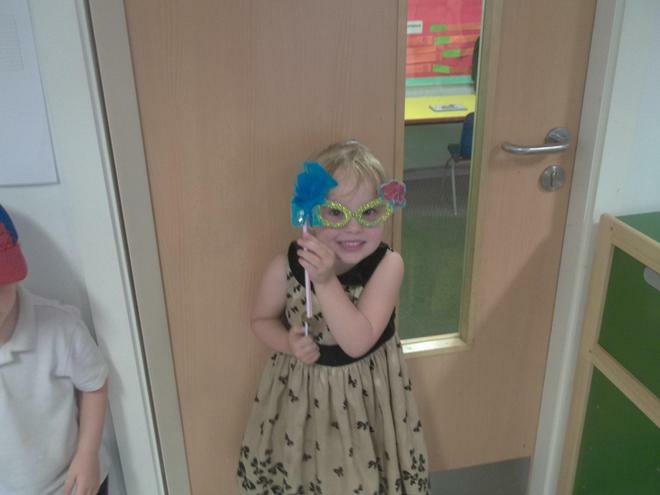 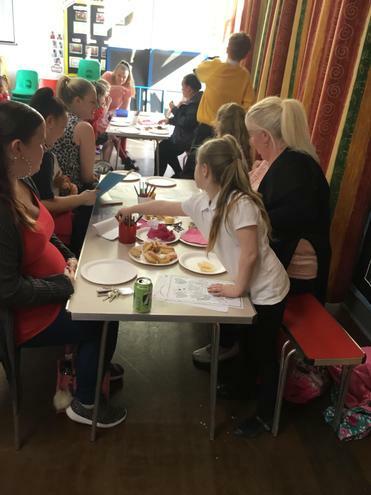 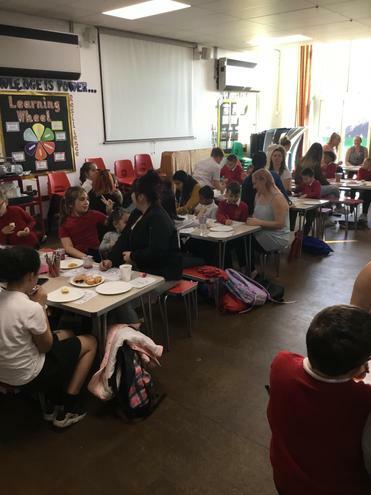 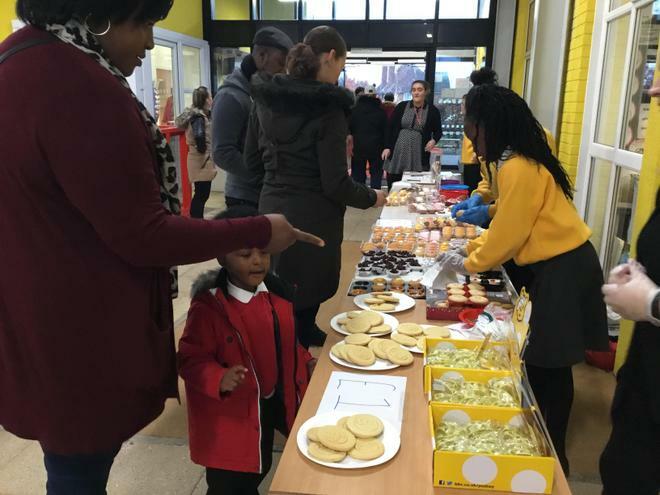 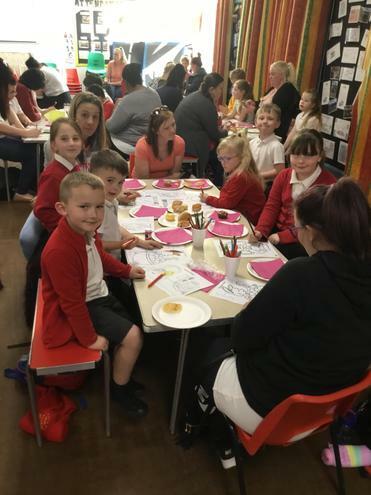 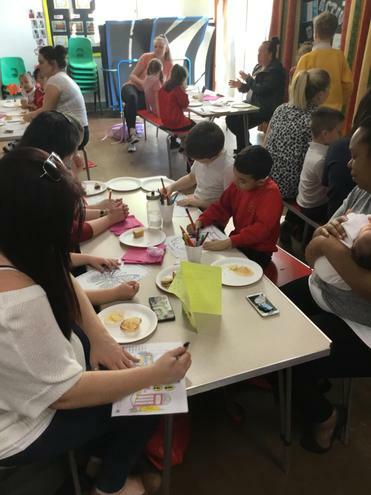 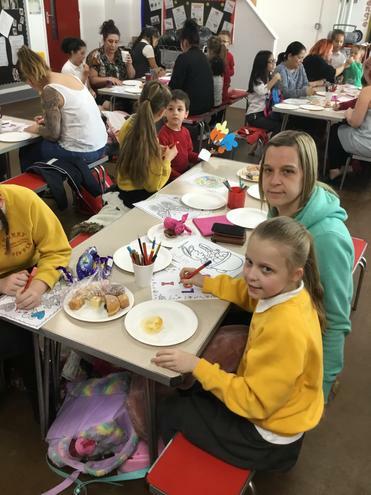 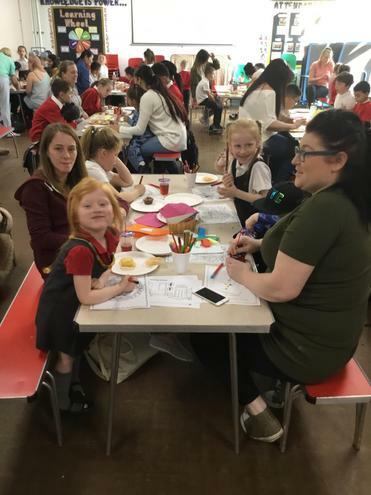 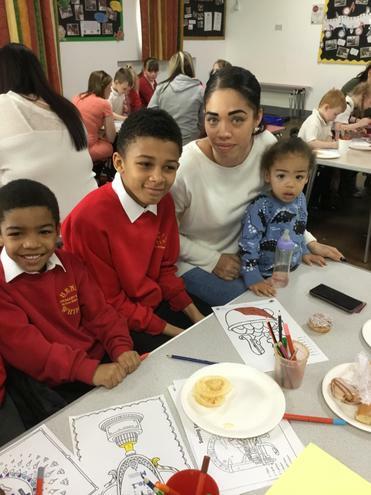 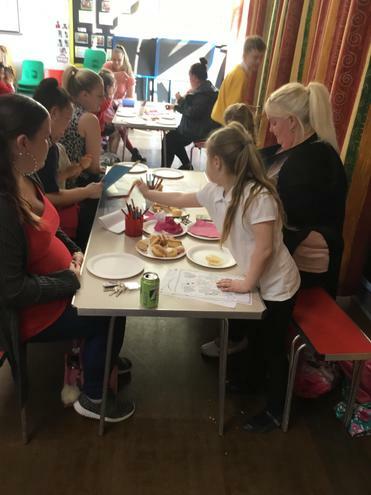 A lovely afternoon spent having tea and cakes with lots of mums who came into school to celebrate with their children. 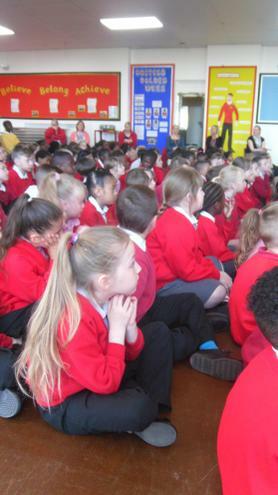 Nottingham Police have helped us learn more about staying safe. 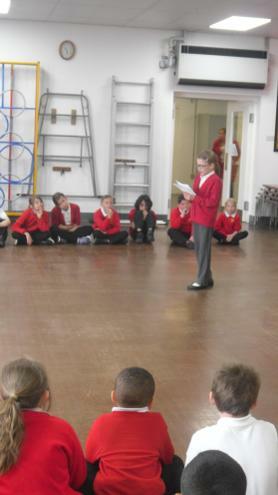 We had a fantastic assembly delivered to us. 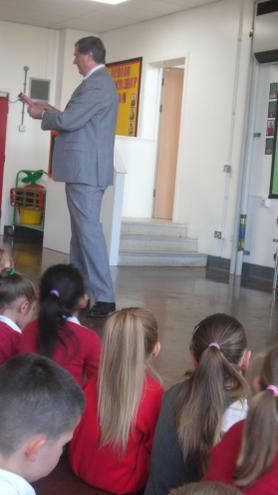 The children learnt all about how police dogs are used in investigations and how vital the dogs are as part of the police team. 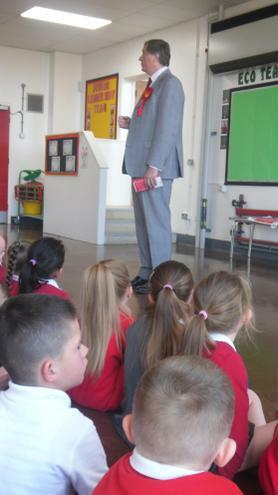 We have raised a fantastic £168 for comic relief. 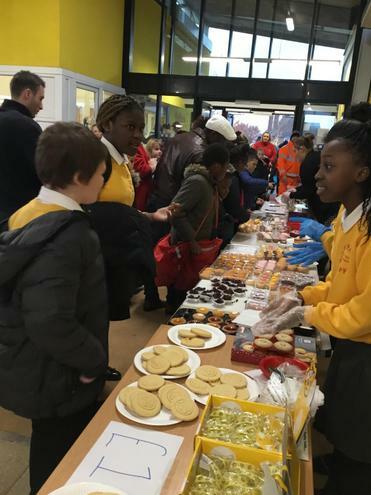 JLT held a cake sale and we sold red noses. 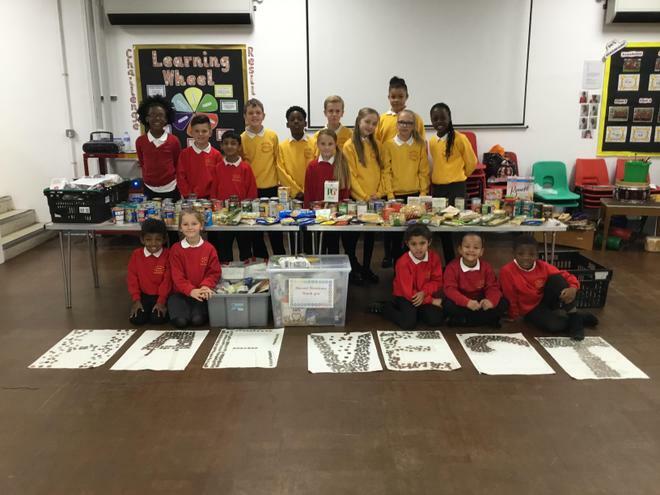 Thank you to everybody that contributed towards this! 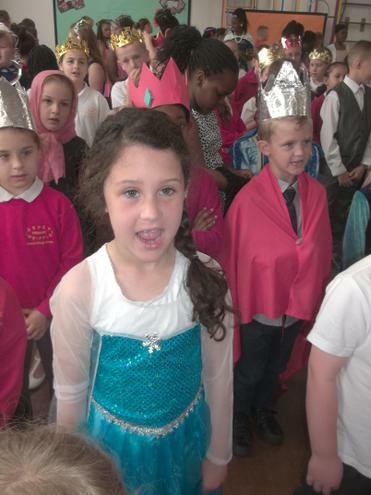 All children years 1-6 have attended an Advent Service at the church today. 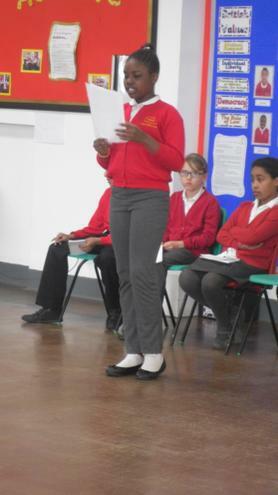 We sang a selection of Carols and children from each year group provided us with bible readings and information about Advent. 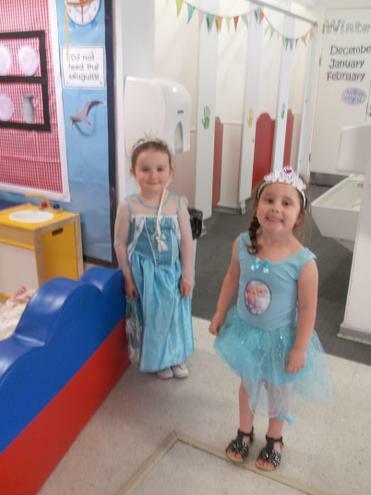 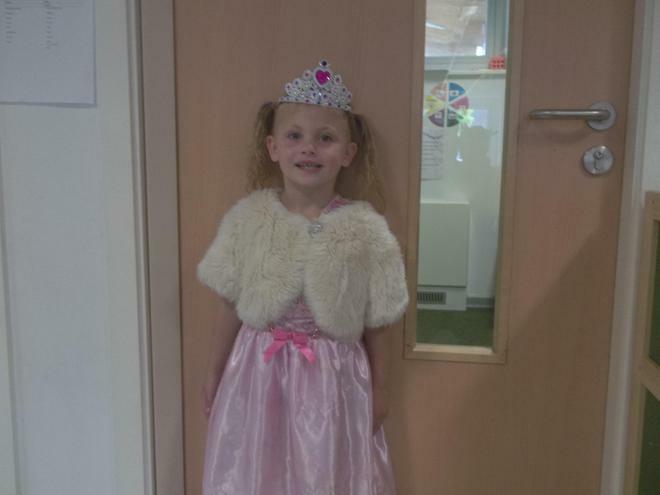 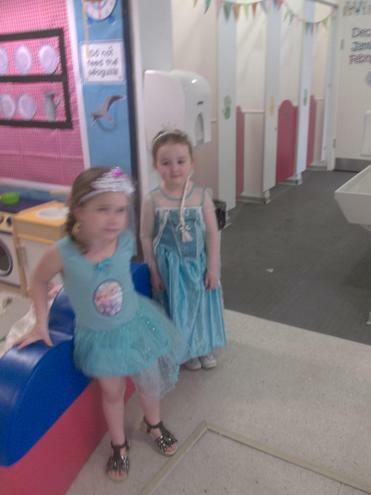 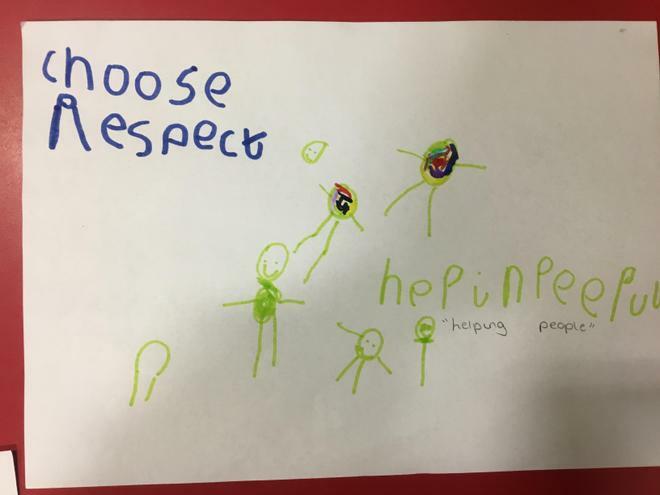 This week Henry Whipple have supported Anti-Bullying Week. 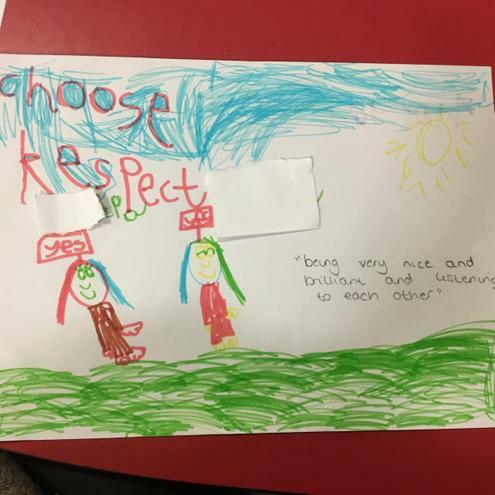 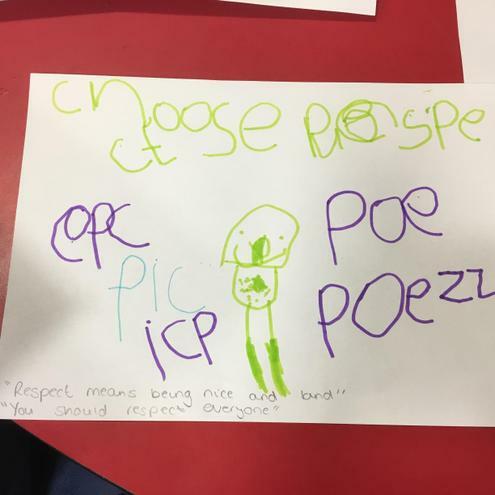 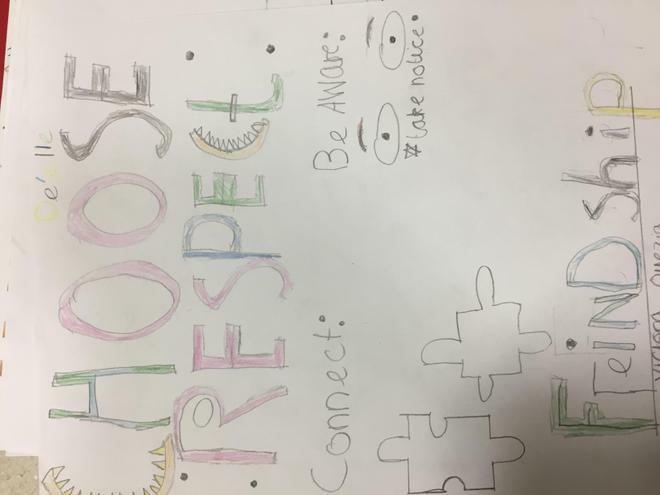 This year the theme was choose respect. 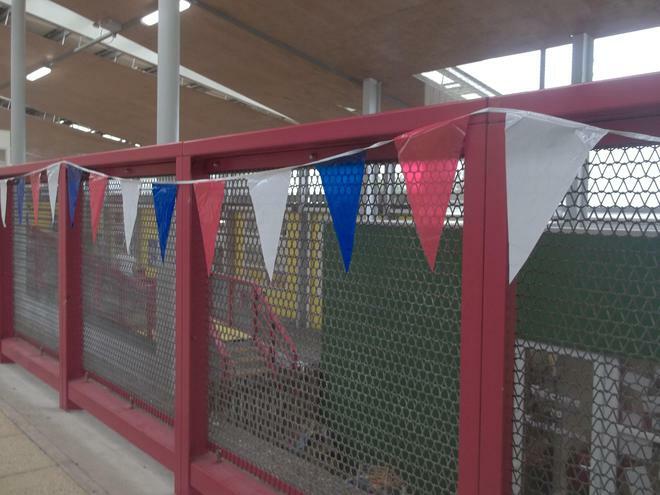 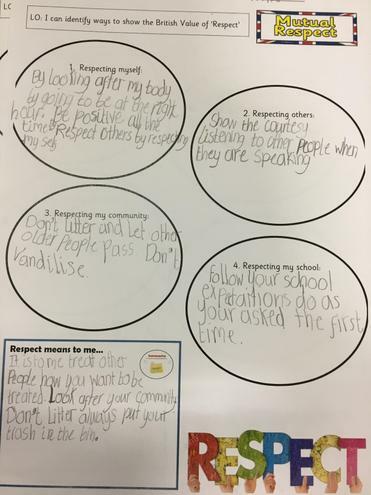 All classes have discussed the importance of this and have participated in activities to promote this. 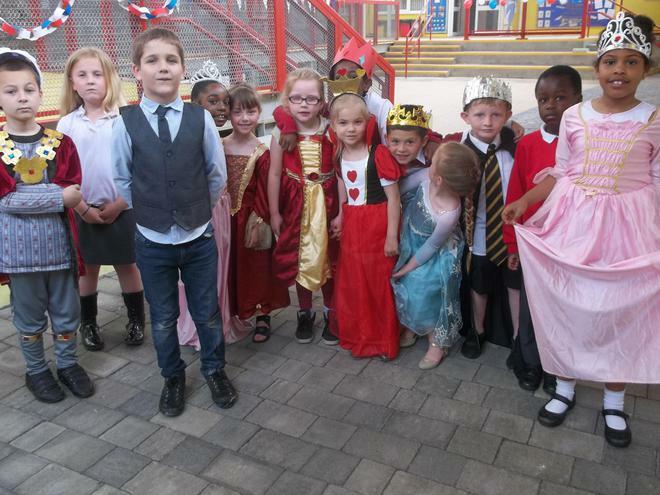 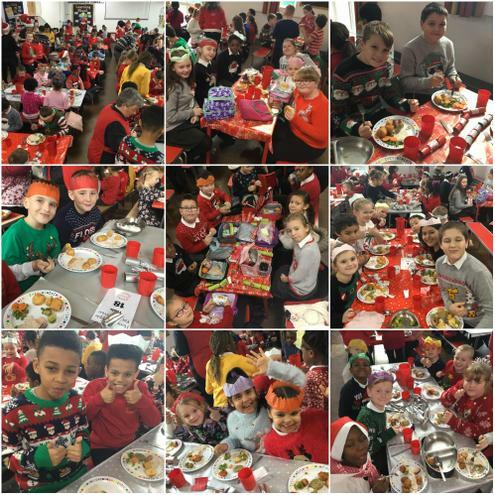 Here is a selection of the brilliant work produced by the children. 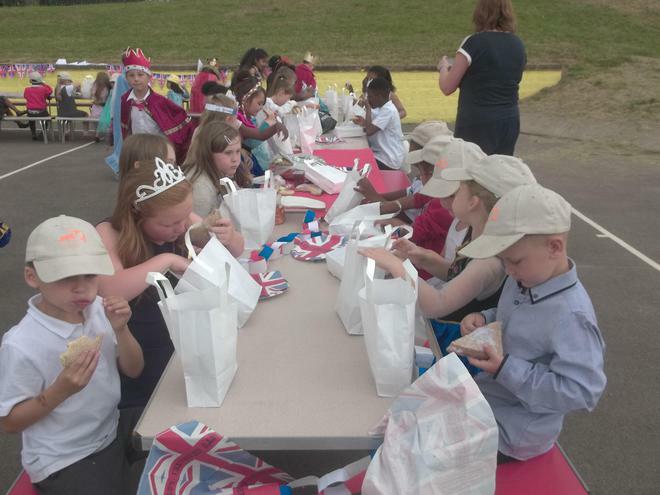 All proceeds donated to our local food bank, supporting the community. 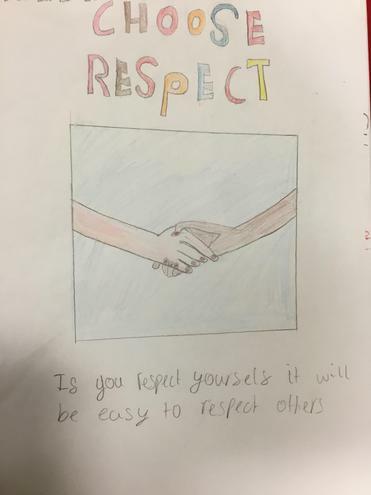 What does Respect sound like / look like / feel like? 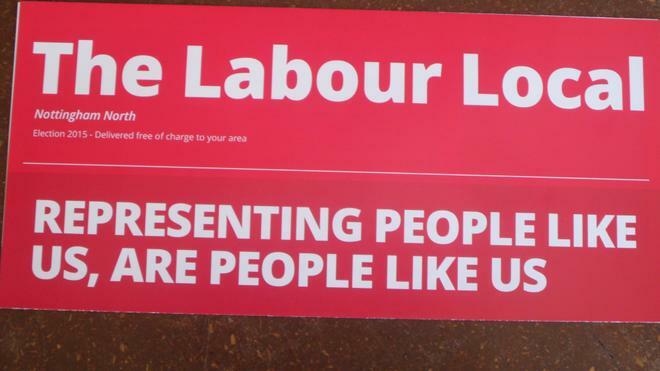 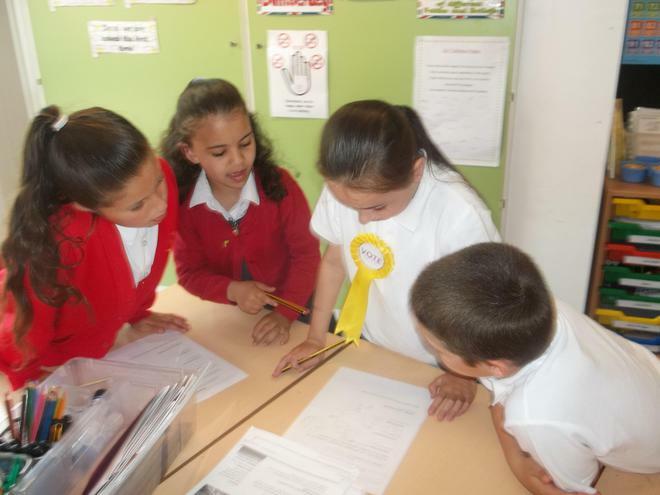 Summer term: Election time: Your Vote Counts! 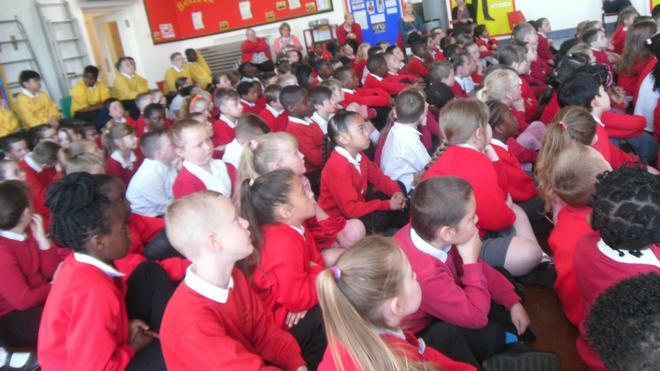 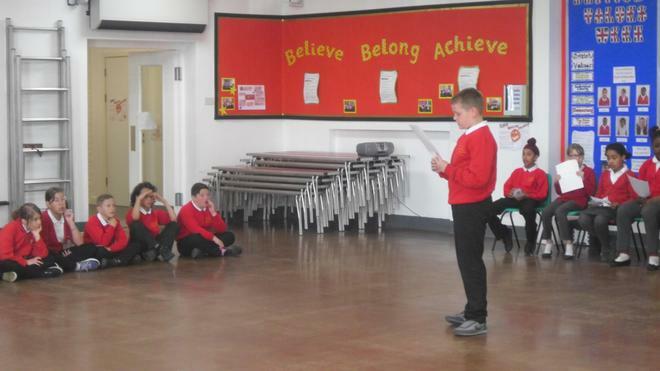 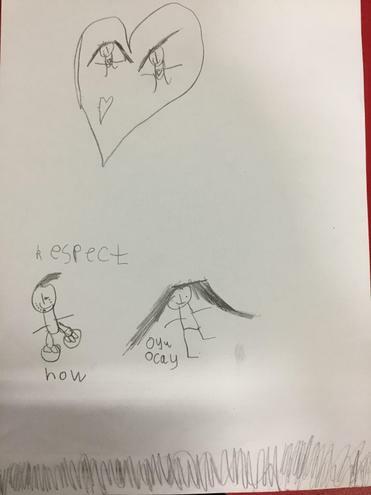 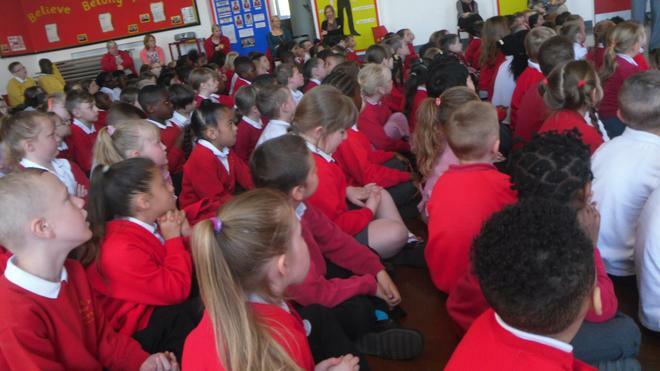 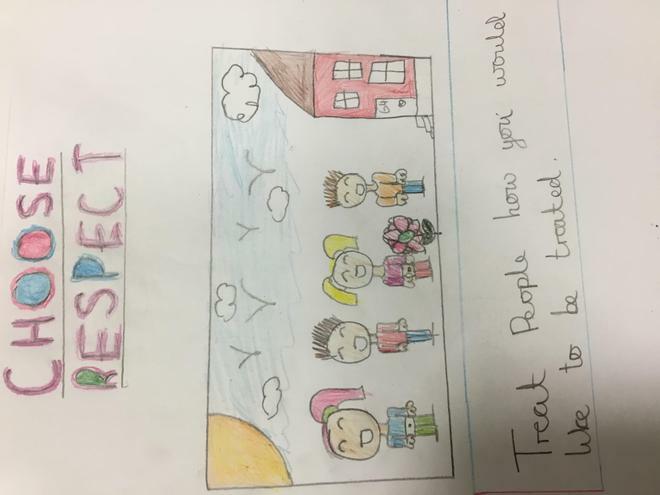 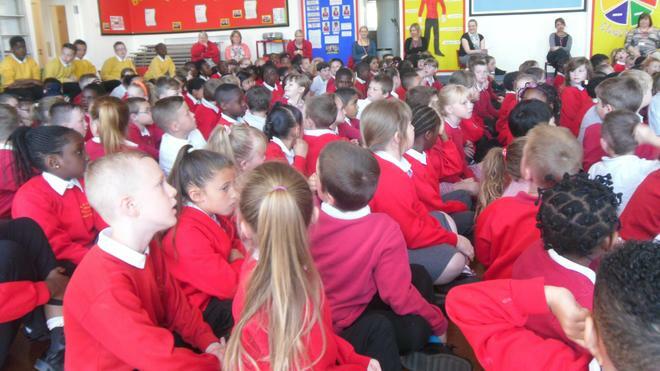 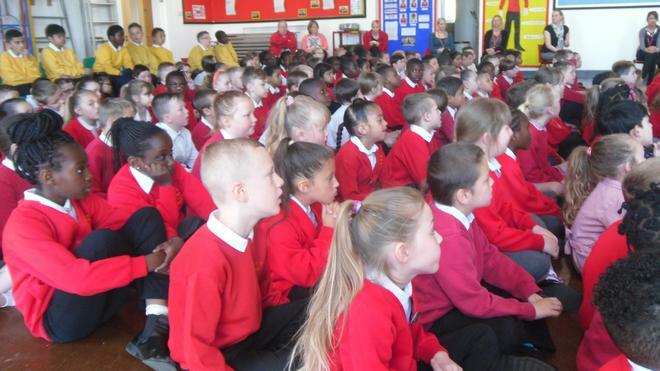 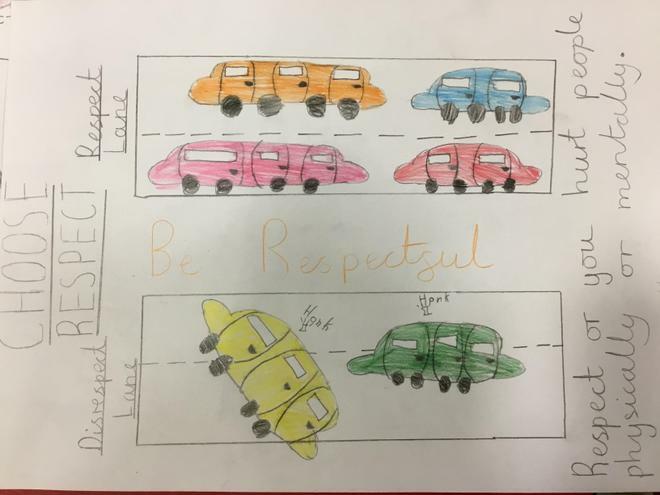 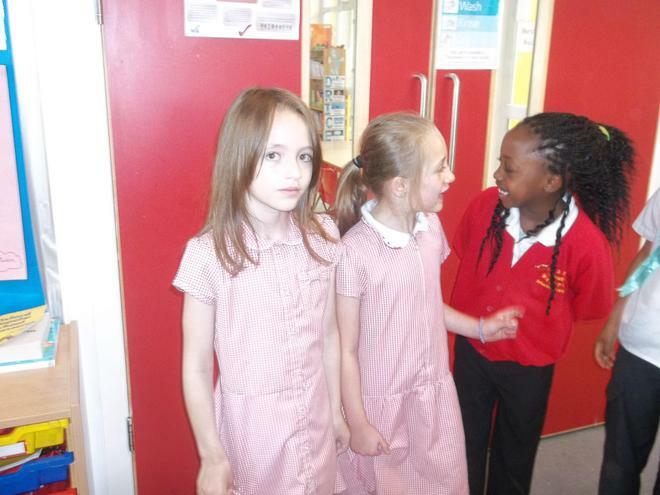 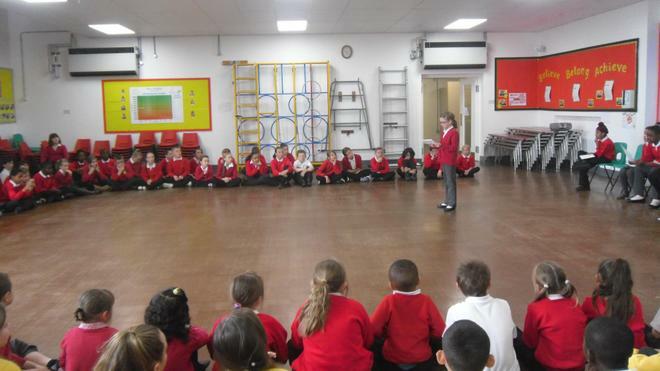 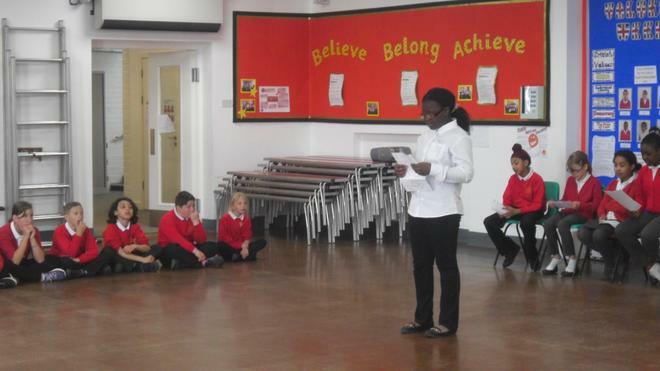 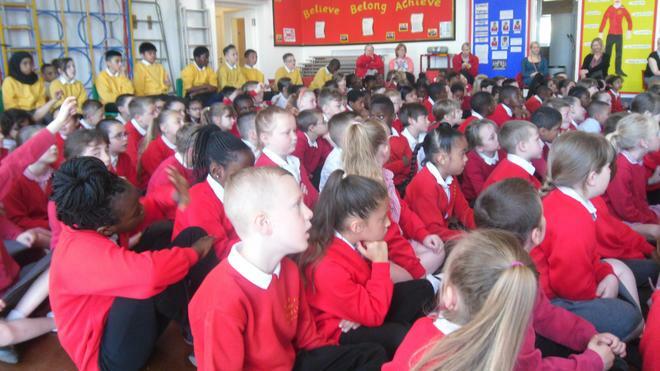 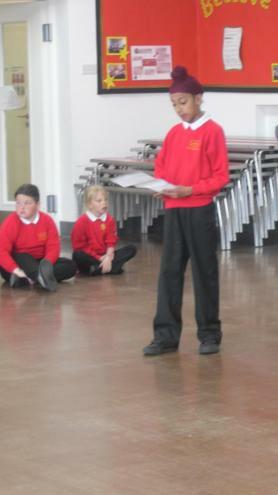 During assembly we discussed what `respect` means, how we can show it and why we should be respectful. 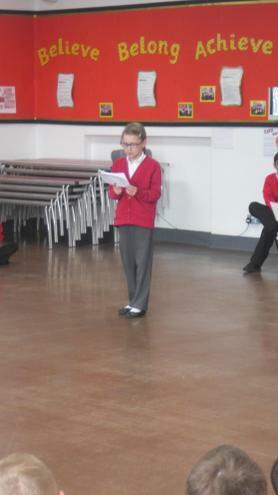 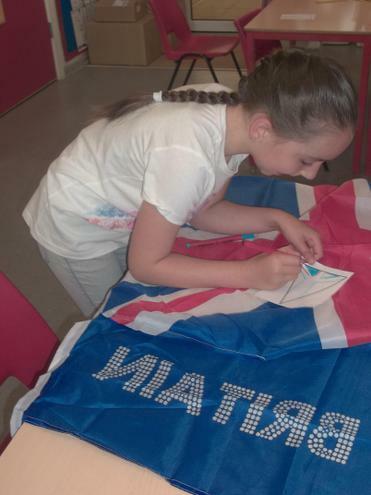 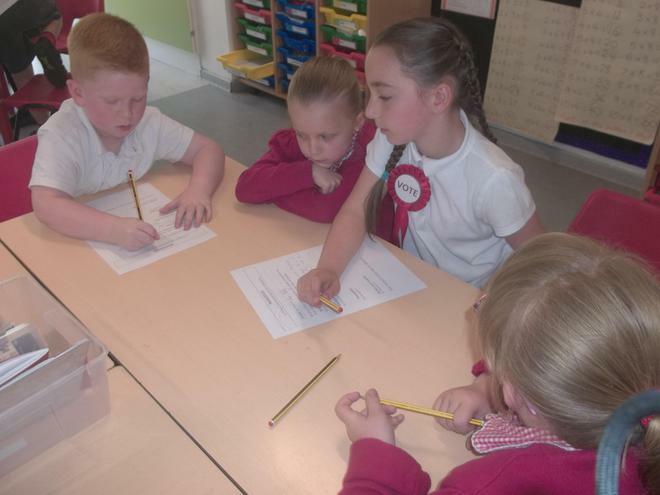 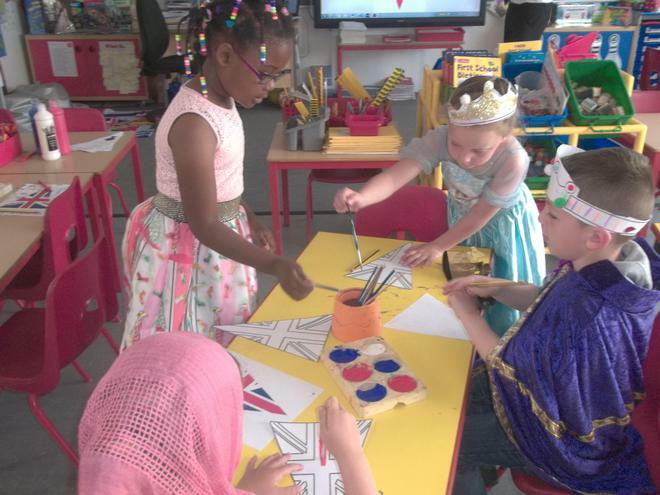 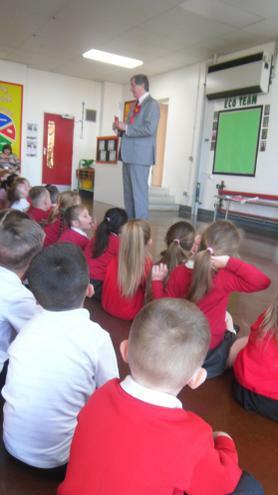 We also spoke about our British Values which we should follow and be proud of. 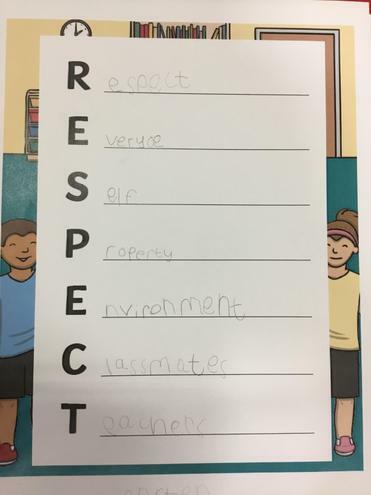 We discussed the impact of these on us. 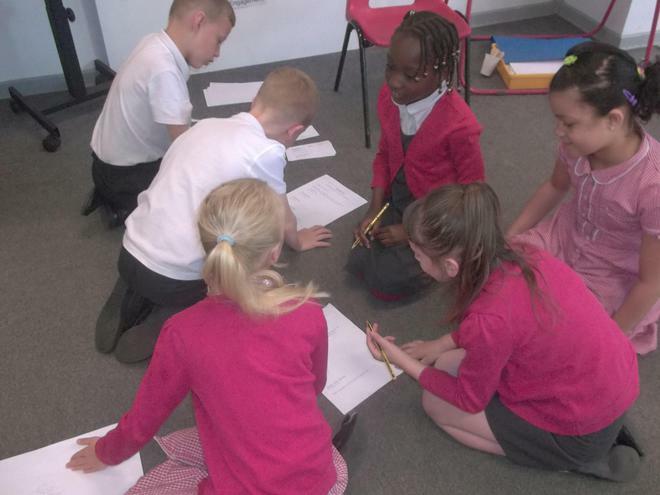 We delved deep with our thoughts. 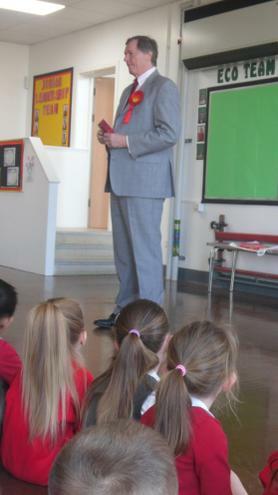 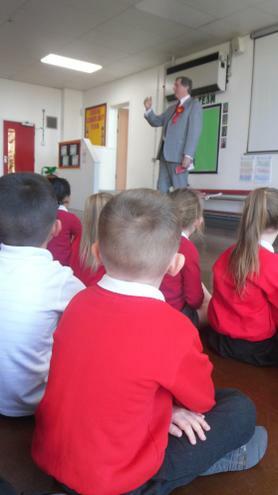 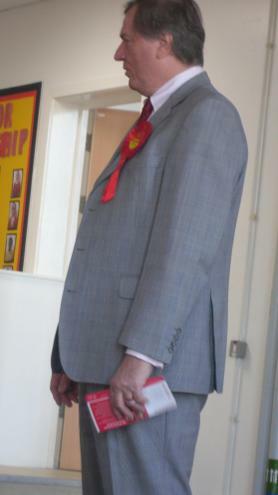 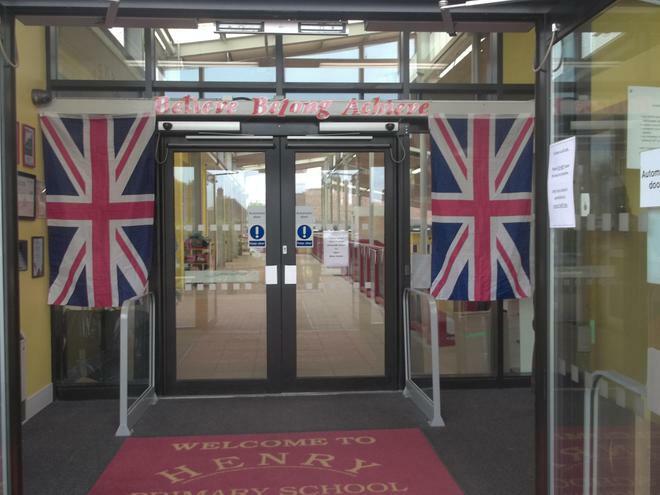 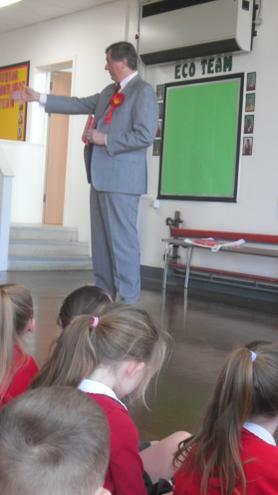 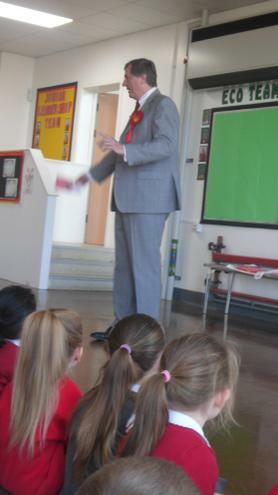 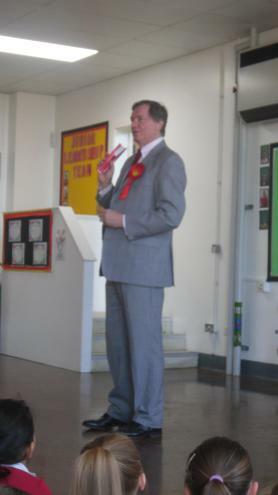 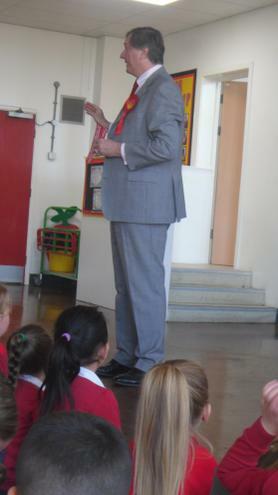 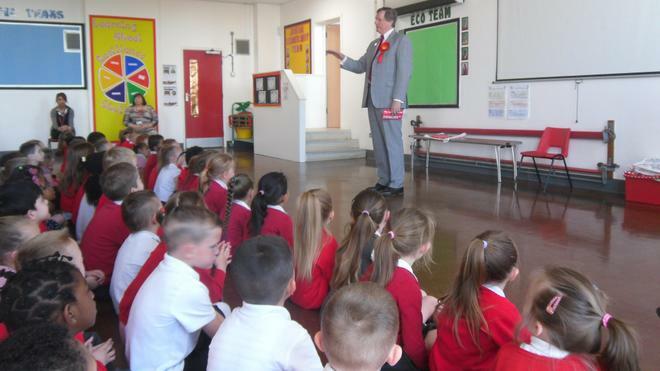 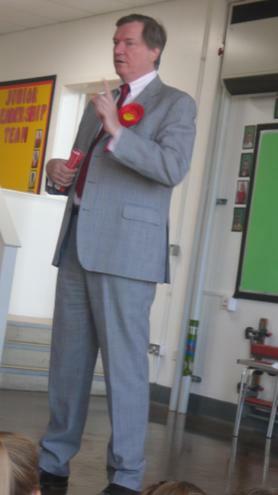 Thank you to MP Graham Allen for visiting our school to support our British Values Week. 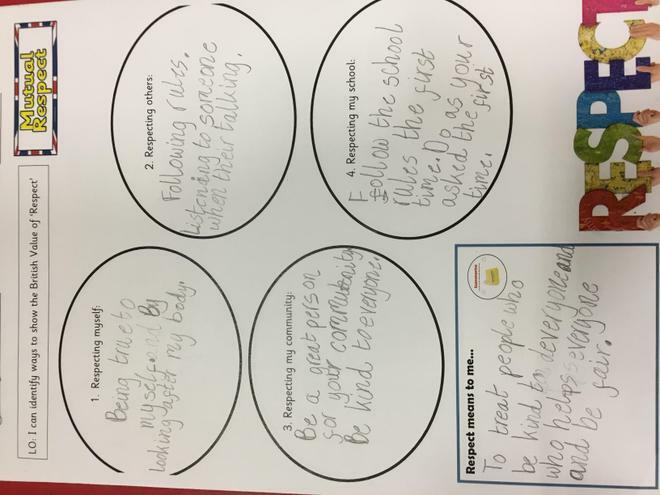 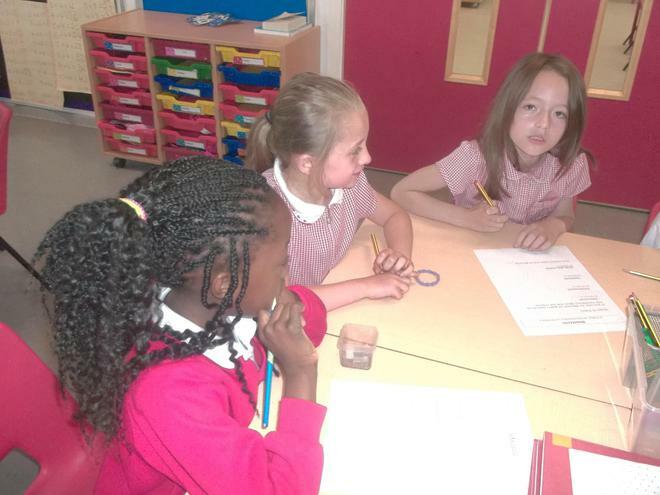 What three qualities do you have for a Pupil Ambassador? 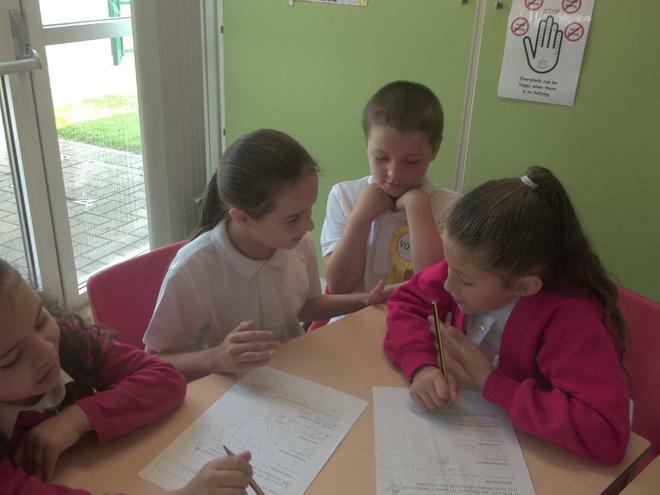 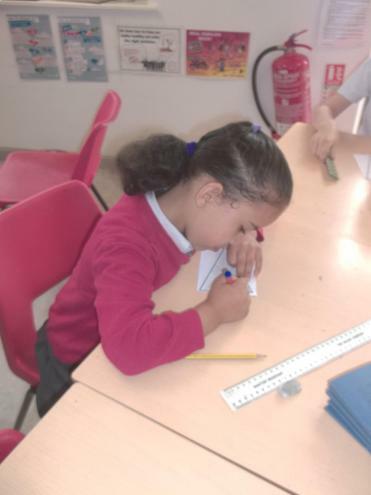 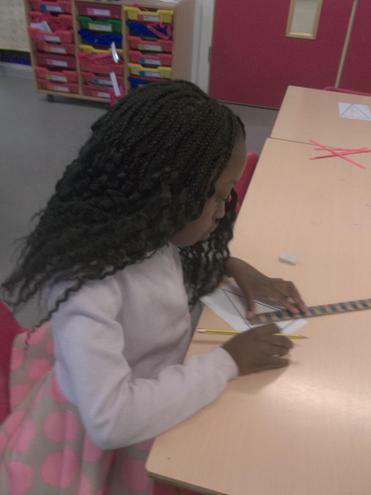 What is important to you to improve learning for children at our school?